In the Human Resources/Business world, onboarding is THE hot topic. Having an effective onboarding program is one of the keys to a high performing workforce, low turnover, and remaining/becoming an Employer of Choice. According to recent studies, effectively onboarding new employees can improve job performance by up to 11.3% - and hiring a new employee costs about 1.5 times their annual salary in recruiting costs, training costs, and lost productivity. Tim will be discussing the philosophies/importance of onboarding, providing a blueprint for making the first 100 days of employment highly productive, and show how his team created an "onboarding portal" to help you be a true success at getting your employees off to the right start. 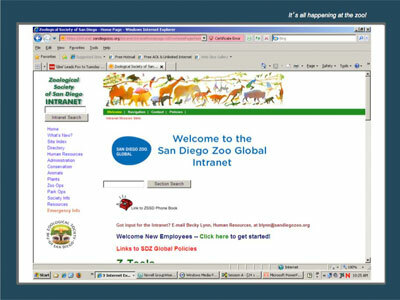 Effective Onboarding - the San Diego Zoo Way!